In the summertime, kids have lots of time to enjoy the great outdoors. What better way to teach them how our planet works than to let them grow something in their own garden. Share your enthusiasm for gardening by getting your kids or the neighbor kids interested, too. You'll find sharing your knowledge with a child particularly rewarding and you will have helped create a fellow gardener for the rest of their life. It may be July but it's not too late to start. Make it enjoyable for everyone by giving kids their own section of the garden or yard to do as they please. I planted pansies as a child in my special area. I also had a couple of big pots filled with potting soil to start my own seeds. Size doesn't matter as long as you let the child choose what they'd like to grow. 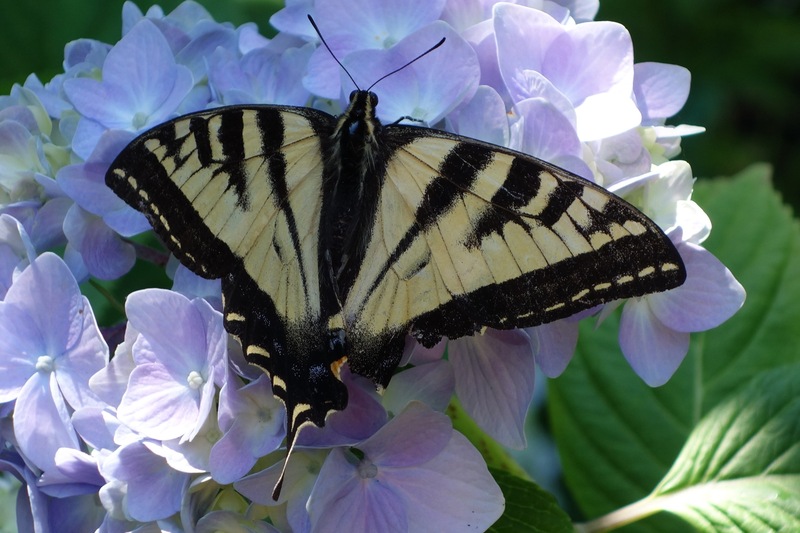 Teach children about beneficial insects like butterflies and lady bugs. Good bugs help plants by pollinating flowers or preying on insect pests. Make your garden a more inviting place for these helpful insects by planting lots of flowers and herbs to attract them. Flowers with umbrella shaped clusters of small flowers such as cosmos, zinnia, black-eyed susan and yarrow are favorites of butterflies. Lady bugs like a pest free garden and will patrol your plants looking for any tiny insects and their eggs. 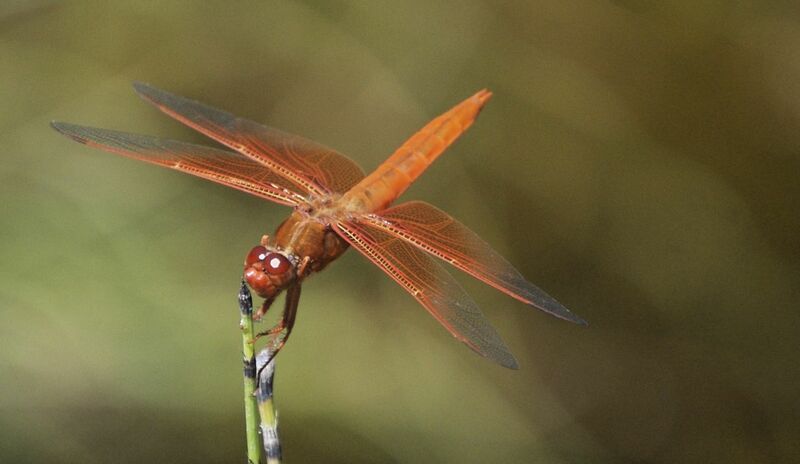 I remember when I was little and had my own garden patch how excited I was to see a dragonfly. My father was happy, too, as they are a great way to control mosquitoes and other pests. They're the top predators of the insect world. I was fascinated by their bright colors- some reddish orange, some blue, some purple. 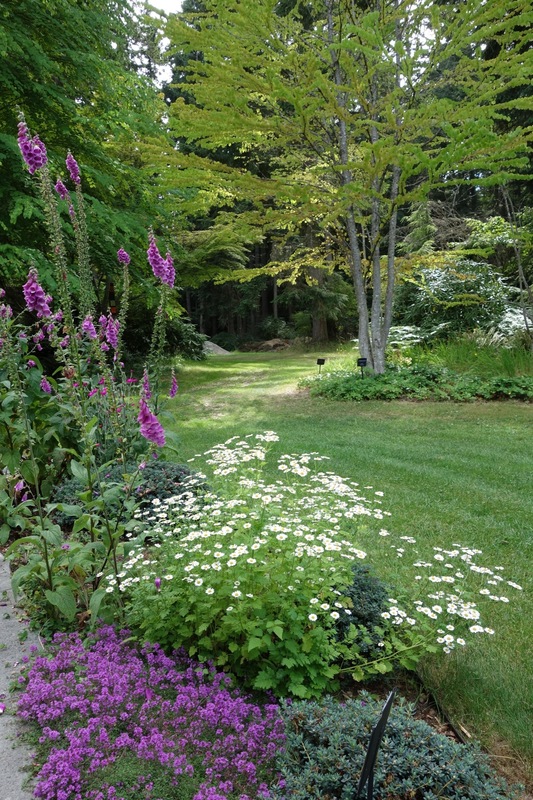 By planting a variety of plants and flowers to attract them they would visit my little garden often. They seemed to find a water source to lay their eggs on their own. I was amazed at how fast they could fly. I've read they can reach speeds of 30 mph. They are an important part of my early gardening experience. Edible flowers are also fun for kids to grow. Some common ones to try are tuberous begonia petals that taste like lemon. Calendulas are spicy as are carnations and marigolds. Dianthus are clove-flavored, nasturtiums give a hint of horseradish and violas, pansies, hollyhock, squash blossoms and johnny-jump-ups taste like mild lettuce. You can also freeze flowers in ice cubes like violas, fuchsias, geranium, stock and thyme. The blossoms of beans and peas can be added to a salad or sandwich or use them to decorate the tops of cupcakes and cookies. Plant a pizza garden. 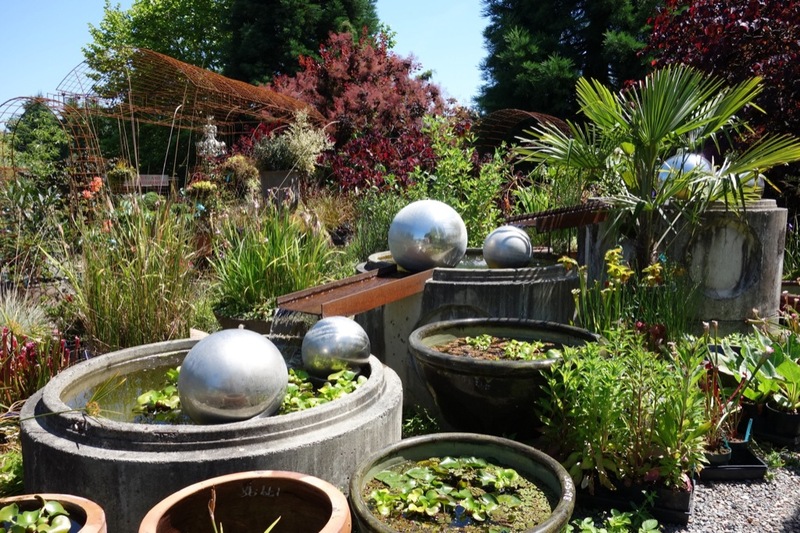 Use a hose to form a round garden shape and border it with stones or another type of edging of your choice. Divide the "pizza" into slices using stakes or one of your plant varieties such as basil. Add stepping stones for the pepperoni slices and plant each section with one tomato plant and one green bell pepper and fill in with garlic, oregano, chives and basil. By summers end you'll be harvesting the makings for a delicious home made pizza. Kids, even older ones, like hiding places, so grow one in the garden. You can plant tall growing sunflowers in a circle, leaving a space for a "door" that kids can crawl through once the flowers have grown. Or build a simple teepee out of fallen branches or long gardening stakes and plant bean seeds around the outside. Scarlet runner beans are also good and have tender, young pods like green beans in addition to bright red flowers that attract hummingbirds. Beans grow fast and soon make a great secret hiding place. Another fun project is growing birdhouse gourds. This fast growing vine can beautify fences and trellises during the growing season. In the fall, dry and hollow them out to make birdhouses or gorgeous crafts. You can burn patterns into the surface and stain the gourds with shoe polish making beautiful objects of art that make great gifts. Flowers that kids can cut will be interesting for them, too, especially when planted in their own garden. 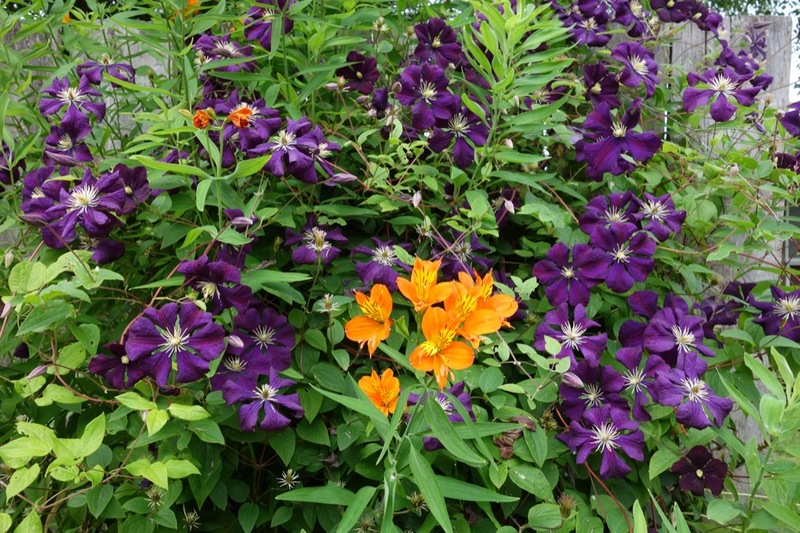 Cosmos, planted from six packs, provide instant color as well as attracting butterflies. Zinnias come in a rainbow of colors and are a favorite of swallow-tail butterflies. Other easy to grow flowers for cutting are snapdragons and who hasn't pinched these to make faces ? Besides flowers, fragrant plants like lemon basil, lime thyme, orange mint, chives, sage and other herbs engage the senses and can be included in a kid's garden. Lamb's ears are soft and furry. Get a kid interested in gardening and they'll be happy for a lifetime. If your fuchsias aren’t blooming and the leaf tips look curled up and deformed, your plants are infested with fuchsia gall mite. First discovered on the West Coast in 1980, it is often mistaken for a disease because of the way it distorts and twists fuchsia leaves and flower buds. The damage caused can be debilitating. The leaves curl and distort so much that normal photosynthesis is disrupted and weakened plants fail to bloom Infested plants usually recover if further mite damage is controlled. Prune off all distorted foliage and buds. This may be the best method of control as petroleum oil or insecticidal sprays need to be made every 4-7 days to disrupt the mite life cycle. Neem oil is not recommended for use on fuchsia flowers. 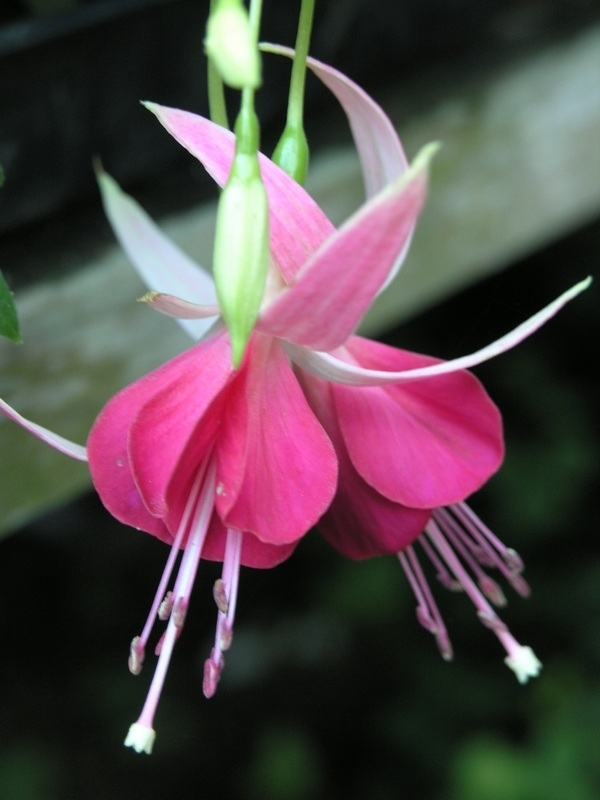 There are several gall mite-resistant fuchsias, both hanging and upright, that are very bit as showy as the traditional fuchsia varieties. if you have been plagued by fuchsia mites, try growing one of these instead.